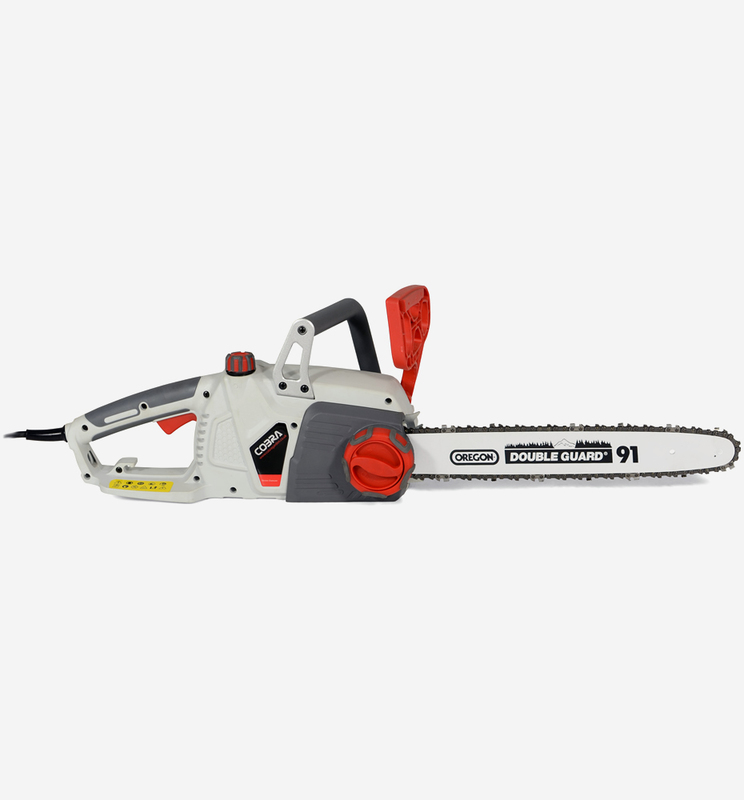 The Cobra CS40E 2000w electric chainsaw is built to tackle the most demanding jobs. 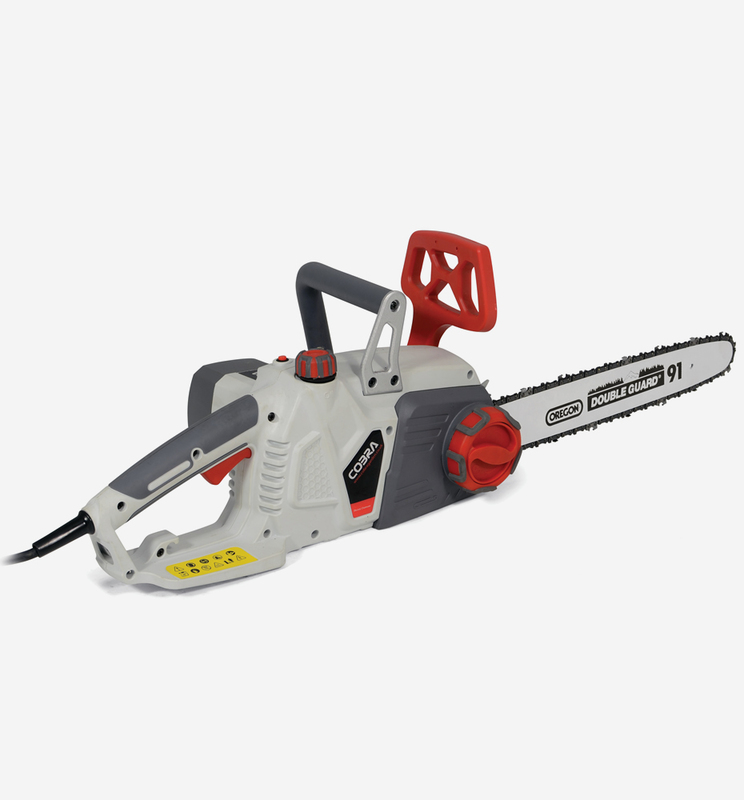 Whether you're pruning or cutting firewood, the CS40E with 16" Oregon bar and chain is up to the job. 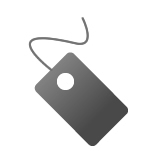 › Chain / Bar Length: 40cm / 16"
The Cobra CS40E comes equipped with a quick chain tensioning system which eliminates the need for any tools for tightening the chain. Just a quick rotation of the tensioning wheel and you'll be back in action without any down time. 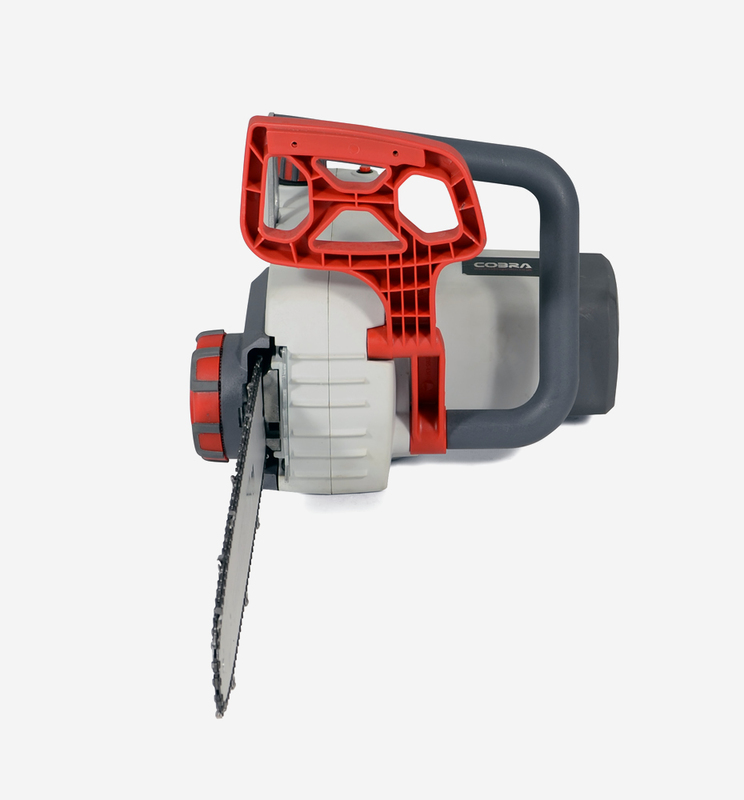 The lightweight CS40E electric chainsaw from Cobra may only weigh 5.8kg but it is not lightweight in its task. 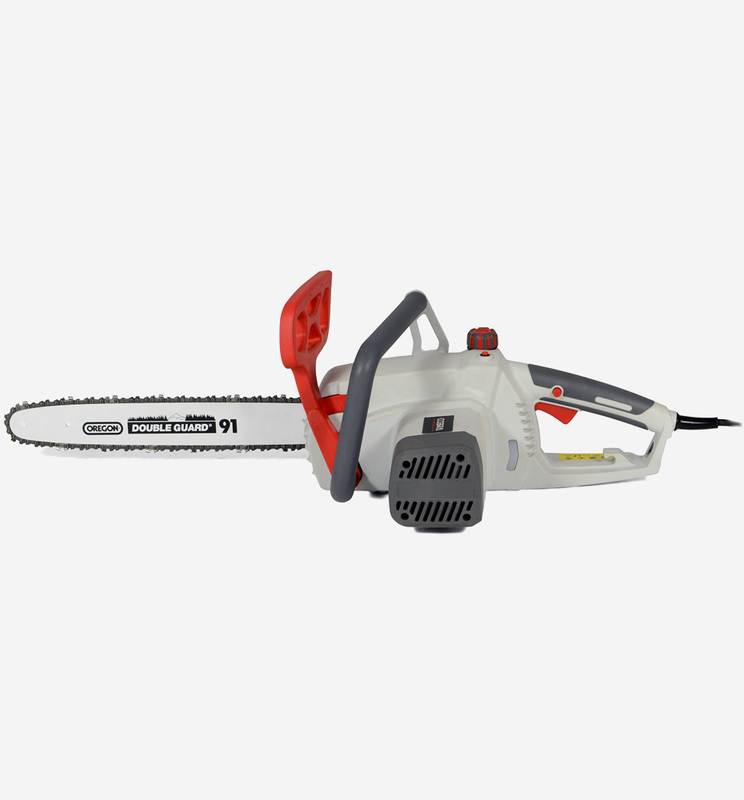 Combining its 2000w power with an oregon bar and chain means the CS40E delivers a powerful and clean cut which makes it the perfect saw for pruning branches, cutting firewood or tending young tree stands. The Cobra CS40E electric chainsaw is one of the most powerful chainsaws on the market. And it is so easy to operate. 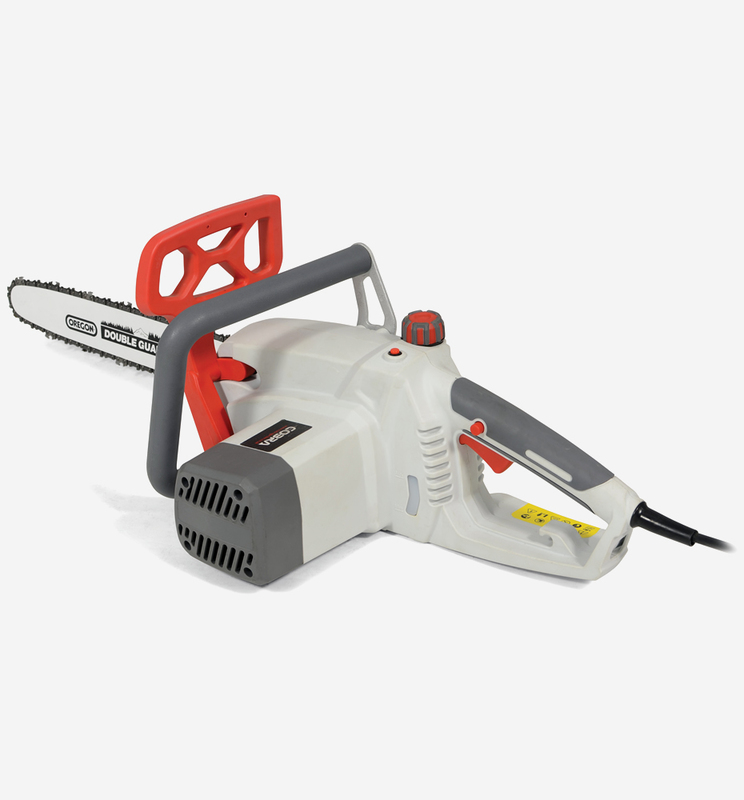 The CS40E is always ready to use, you simply plug it in and you are ready to go. 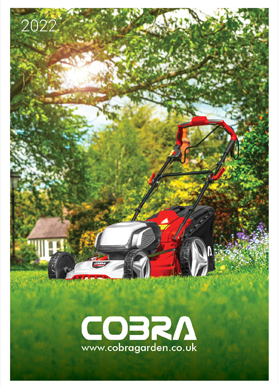 With its powerful 2000w motor the CS40E will cope with all domestic tasks around your home and garden.